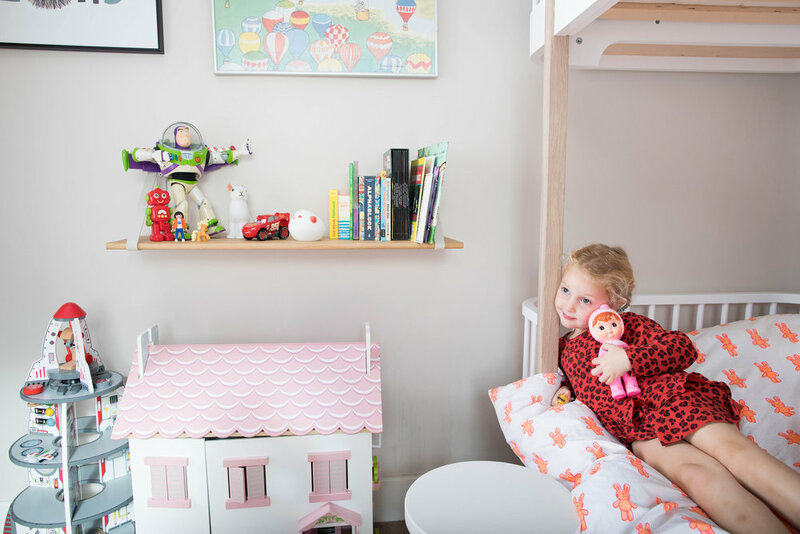 My children's bedroom is one of my favourite rooms in our house - I love seeing all their things, the colours, space and furniture - but most of all I love seeing them having fun there. 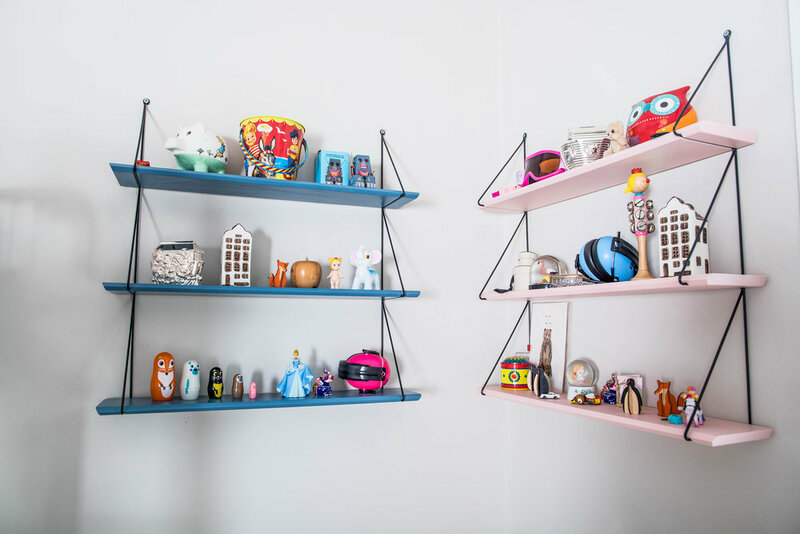 I am from a family of designers and studied 3D Design at university so I knew I wanted their bedroom to be good quality, well designed and functional. The main thing we invested in was a bunk bed which they absolutely love (and actually manage to stay in for most of the night!). Our kids (currently aged 3 & 5) share a room, this is mainly due to lack of space so we decided to maximise floor (and playing area) by getting a bunk bed. The bed is designed by a Scandinavian company called Oliver Furniture who create high quality, sustainable wooden furniture and I have been so impressed by both the design, quality and ease of build. Oliver Furtniture are based just north of Copenhagen and manufacture in Europe (their stuff is all amazing). The version we went for was the wood + white with the end ladder but it is also available in different finishes and with a front ladder. The other thing we wanted to create was a cosy reading corner with bean bags. We read a lot of stories so it was important to have a space to do this. I also wanted to have a shelf that the kids could access themselves - where they could keep and reach books and toys. Also this is a shelf for life so although it is in their room it may well one day end up somewhere like the kitchen..
We have had these display shelves for a while now and absolutely love them. I tend to change what is on them around a bit - to let toys have their moments instead of being hidden away in storage boxes. The kids love looking at all their things on them too. 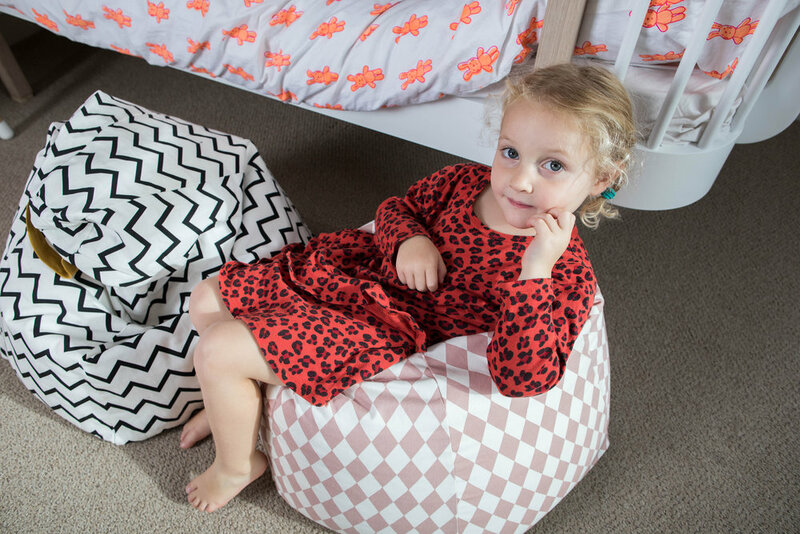 This post was created in partnership with Nubie - who are all about Modern Design For Kids. They have so many beautiful things - not just for kids.